– and we’d love you to join us. NearFormers shape work around life, not the other way around. NearForm adopts a person-first approach to hiring. That means we hire the best people – it’s as simple as that. Our lucky HR team gets to pick the cream of the crop from around the world and has brought together a collection of dynamic and talented individuals we like to call ‘NearFormers’. 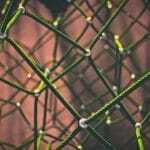 Although we are widely dispersed, NearFormers are a tightly knit team. We trust one another and care about our colleagues. Building on our open source origins, we promote the sharing of thoughts, knowledge and ideas. We take on exciting projects and like to push the boundaries. All NearFormers are encouraged and supported to explore and utilise emerging technologies. Talent Attracts Talent Join the world’s experts. Work Remotely Banish the office commute. Flexibility Create a schedule that suits you. Work-Life Balance Let life shape your work, not work shape your life. Family Friendly Avail of flexible hours and parental leave. Open Source Ethos Immerse yourself in the open source community. 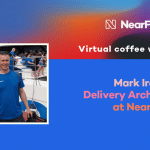 I'm a Senior Engineer at NearForm and my work basically consists of building highly scalable and reliable systems in a number of technologies and languages. What I like most about NearForm is the flexibility on time and location to make the personal life totally compatible with the professional life but also the great level of support from the company for developing your career: conferences, books, videos... NearForm is at full throttle helping you to improve your profile. I am very proud to be part of NearForm since day one. Watching the team grow over the years and working with so many talented people has been an amazing experience. Every day for me involves learning (probably something to do with React, hapi and web workers), pushing the limits for browser technology and delivering quality results for our clients. As a Delivery Architect, I am responsible for a team of developers working on a client project. I ensure that the technologies being used are appropriate for the take at hand and that tasks are distributed in a manner that everything flows smoothly. 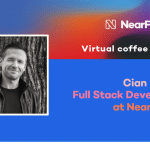 The best part of working for NearForm is that we have such a large population of talented and helpful developers, that you are usually able to find someone else in the company who has a deep experience with something that trips you up. The thing I love most about my job at NearForm is the ability to work on and influence many things. 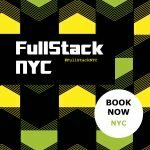 In any given day I can be completing a customer consultancy engagement, writing training materials, updating open source projects, maintaining more than 250 Node.js modules or speaking at an event. I am also kept busy as a member of the Node.js Core Technical Committee. As a front-end developer, I typically work on UI features for clients using modern open source libraries and tools such as react, Redux, GraphQL and Webpack. These technologies, as well as being fun to work with, lend themselves well to the rapid iterative prototyping employed at the early stages of many projects. To me though, it's the opportunity to work on interesting problems alongside such passionate and creative people which makes NearForm unique. 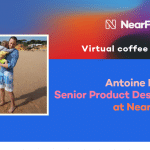 As a UX designer at NearForm, my job is never the same. One day I might be facilitating design sprints and building prototypes, the other you can find me designing mock-ups or mapping user journeys. Being on high pace, high stake product teams helping global clients is incredibly exciting. Being able to work on such regarding projects remotely is the icing on the cake. As an Executive Architect, I have overall responsibility for a substantial team of developers working on customer projects using an agile approach. Our one team concept means that we work hand-in-hand with customers and avoid all of the common customer-vendor relationship problems. I have relished the challenge of working on large-scale international projects that have generated major revenue for our customers and repeat business for us. As an Executive Architect, I don't just manage complex customer projects, but I also work with the other XA's on our strategic technology decisions to ensure that silos don't form. I'm very proud of the work we have done in moving to Design-led engagements with customers. Most recently, the evolution of our Pathfinders team has resulted in a major amount of knowledge sharing both internally and externally. 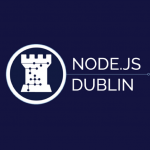 As the NearForm Event's Manager, I'm responsible for making sure that conferences such as NodeConf EU and Microservices Day continue to deliver real value to our attendees. The thing I enjoy most about my job is the excitement that I see building in our communities as each event approaches. NearForm is a unique company that enables me to exercise my skills to the full. I work with some of the world's largest companies on designing new high-performance architectures. For others, I consult on solving difficult production issues. All of this feeds directly into my conference talks and training materials. Working with NearForm has been an extremely positive change in my career. Getting the opportunity to work on some of the greatest and cutting-edge technologies has always been the most exciting part. I'm very proud of the work we do by producing better and faster software every day. All that at no expense to one's personal and family life. The "talent-first" attitude is just awesome. Being able to work remotely in your own comfort zone is the best of all. nearForm was founded by a bunch of really smart people with a novel set of ideas. Trust people, treat them like adults, celebrate diversity & encourage work/life balance. It's amazing the culture these simple ideas have produced. NearFormers look out for each other and NearForm looks out for us all. NearFormers come to work happy!